The immense success of Pokémon Go created public awareness about augmented reality (AR) and the phygital – partly physical, partly digital phenomena. 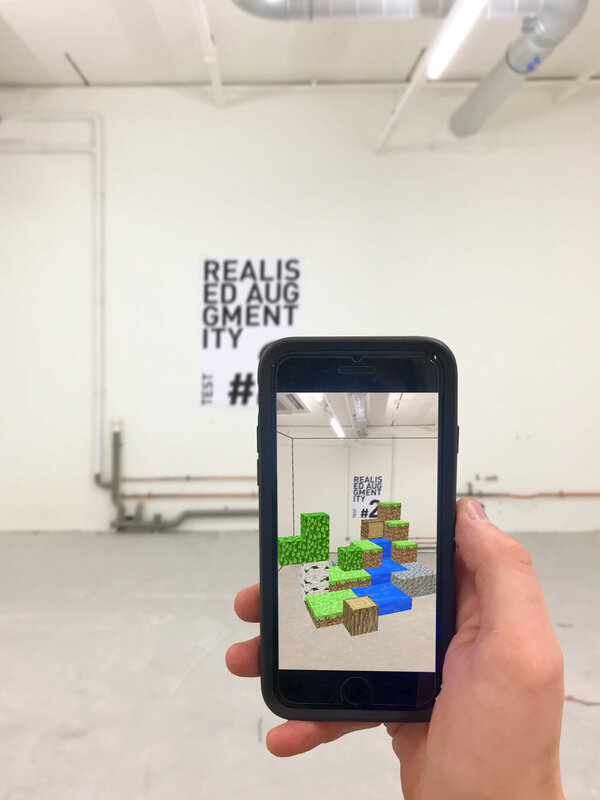 The game‘s popularity suggests a progression towards ‘Realised Augmentity’, in which AR is used as tool for the construction of the ‘real’. A series of experiments investigated new uses of AR. An ‘Augmented Carving’ technique attempts to conciliate the digital and the handmade. 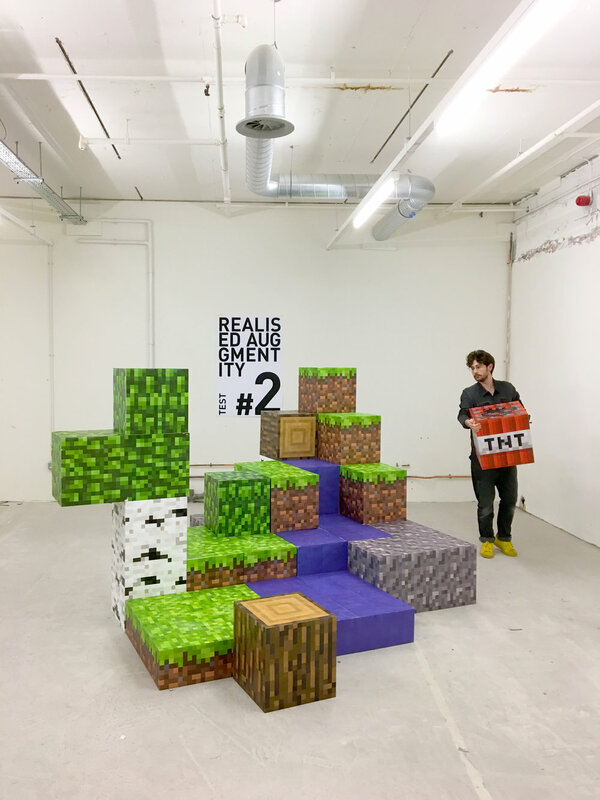 In another, AR was used for the first time as tool for large scale delivery, being employed as spatial instruction for building a physical version of Minecraft. 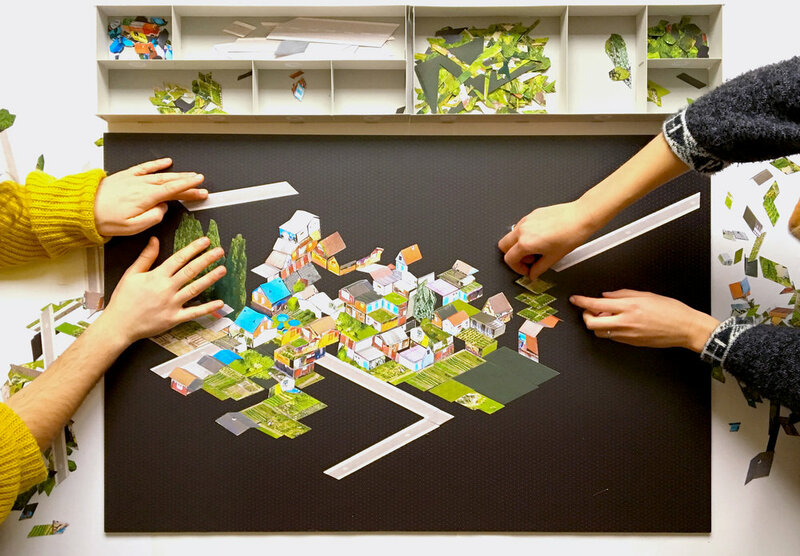 The final project is the Low-Res City, a provocation of the image of the city. The proposal employs new technologies of fabrication and perceptions of reality. Grabbed from the sky, can a shed in the backgarden, a street corner, a field of crops become truer representatives of the city fabric and its phygital moments?